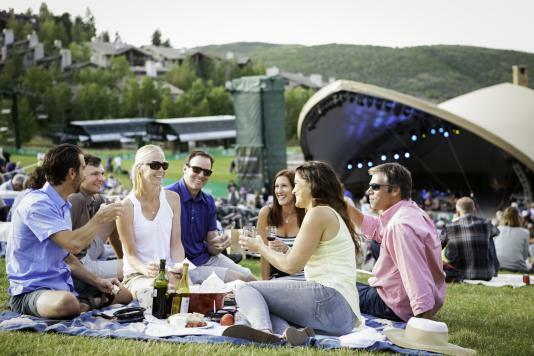 Between the mouthwatering annual events focused on fine foods, weekly and monthly tours and tastings, regular cooking classes, and seasonal markets, there are many food and drink events in Park City to make a foodie feel right at home. Savor the Summit is an annual outdoor dinner party where live music and gourmet food come together for one magical evening in June. Beautifully decorated communal tables are set up down Main Street for the nearly 3,000 hungry attendees to dine al fresco right on Park City’s main strip. More than 25 restaurants participate, offering their own unique menus and pricing, and all you have to do to attend is make a reservation with the restaurant of your choice. For an insider’s guide to the many restaurants on Main Street, let Food Tours Park City take you through a handful of choice eateries. With a Park City resident as your guide, you’ll go on a whirlwind tour sampling select dishes from each stop while your host fills you in on local history and culture. If you’ve got wine on your mind, look no further than Fox School of Wine. The wine educators host a Mines & Wines Tour every Saturday, where you’ll visit six historic locations with a wine paired to each location. For an event where you can settle in and stay awhile, make a reservation for the monthly Table for 12 tasting class held every third Thursday of the month. And if you only have a time for a quick food event, opt for the Weekend Wine Series, a one-hour tasting class held Saturday nights. Whiskey lovers should be sure to check out events happening at High West Distillery. Adults 21+ years old can book High West Saloon tours held at various times daily at the Park City location. Whiskey Revival takes place Thursday nights at the Distillery in the Wanship, UT location. Whiskey Revival features live music and a chef’s menu with recommended whiskey pairings. Also be on the lookout for events popping up to unveil new releases from the distillery. To experience the wines, beers, and spirits of Park City on your own time, schedule a wine tasting tour with Utah Wine Tours. These wine professionals will pick up your small group and drive you to each stop in a roomy SUV. Stop by Park City Farmers Market every Wednesday, from June to October, for local produce, food trucks, baked goods, crafts, and local meats. On Sundays, Park Silly Sunday Market takes over Main Street for a street fair style market. Catch it June through September and get ready for hours of entertainment as you stroll from booth to booth perusing vendors that change by the week. To taste local ingredients and learn how to cook with them, take a cooking class with Mountain Town Olive Oil or Mindful Cuisine. Both local businesses offer a year-round calendar of ever-changing classes based on a theme, season, or ingredient. If you’re the type that likes to eat your way through a new city, you’ll find plenty of food and drink events in Park City to make your visit a delicious trip to remember.